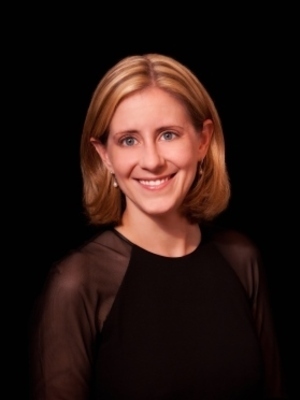 Julia Shaw holds a PhD in music education from Northwestern University, a master of music in choral conducting from Butler University, and a bachelor of music education with high distinction from Indiana University. Her teaching experience includes ten years working in diverse school and non-profit settings in Indianapolis and Chicago. Dr. Shaw was honored as Teacher of the Year for the Zionsville Community Schools and Boone County in 2007. She has worked extensively with children's choirs, including the Chicago Children's Choir, Indianapolis Children's Choir, and the Indiana University Children's Choir. Dr. Shaw’s areas of scholarly interest include child and adolescent vocal development, culturally diverse learners, music teacher education, urban education, and socio-cultural issues in music education. Recently, she received the Society for Research in Music Education’s Research Grant to investigate effective professional development experiences for urban music educators. She has presented sessions for state and national conferences of the National Association for Music Education and the Organization of American Kodály Educators. She serves on the editorial committee of Music Educators Journal, a journal in which her work has been published. An active choral clinician, Dr. Shaw is frequently called upon as a guest conductor for All-State and honor choirs. She is also a certified Kodály educator and has taught in the summer Kodály institutes of DePaul University, James Madison University, and the University of Central Missouri. She has also taught in the summer graduate program of the University of St. Thomas. Shaw, J. T. (2012). The skin that we sing: Culturally responsive choral music education. Music Educators Journal, 98(4), 75-81. Shaw, J. T. (2015). “Knowing their world”: Urban music educators’ knowledge of context. Journal of Research in Music Education, 63(3).